This may be another attempt at a vendor predicting the future but maybe not..
How much do you trust Amazon on the release date? Rock Band Xbox 360 game for $34.99, for 2/20/08 only. Amazon.com's featured Deal of the Day, for February 20, 2008 only, on the Rock Band game for the Xbox 360. Only $34.99. HOT! Rockband (Game ONLY) for 360 $34.99 with FREE SHIPPING @ Amazon.com. Hurry, before they sell out. Like quality games? Don't like paying money? Compromise!See Yahtzee's review for a more compelling argument. StarCraft II: Now available for pre-order at Amazon! Is it really happening?Are we actually going to be able to play this before 2015? Could Amazon.com leaked the release date of this game? Availability: This item will be released on October 1, 2008. StarCraft 2 can now be pre-ordered, get it while you can it's sure to sell out! Starcraft II on PreOrder or Buy USED for $2,400.00 ? 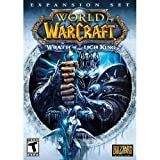 Starcraft II Now Available for Pre-order on Amazon.com! The end of waiting is near!!! You can get one movie in the box plus 5 by mail-in-rebate. Use the one of the other sellers for the cheapest price, or go through amazon for the more standard price. Not bad if you are looking for one. Sony apparently has dropped the free Spiderman 3 Blu Ray DVD in its 40GB PS3 package and has decided to replace it with . . . . nothing. A few months ago, the offer was for six free Blu Ray disks. 50% price cut on the Nintendo GameCube plus free shipping amounts to one amazing deal. Great way to play some of those classic video game titles while the Wii is still hard to find. Mario Kart Wii ($50; April 27) is set to bring the series back to its N64 glory days, with a mix of brand-new and vintage tracks and arenas, 4-player local multiplayer, online multiplayer, multiple control schemes (including one that involves using the included Wii Wheel), and the option to race a motorbike instead of a kart. Mario Kart Wii!!! Pre-Order your copy now!!! best game on the n64 is coming to the Wii.I'm in for one. Wii >> Guitar Hero III in stock @ Amazon! get it before it is gone again! I was just looking through Amazon and came across this. I find it a little odd considering the issues it's been having with the Mono sound.